Can This Covington Alley Become a Popular Public Space? It looks like many other urban, historic alleys - brick-lined, empty. 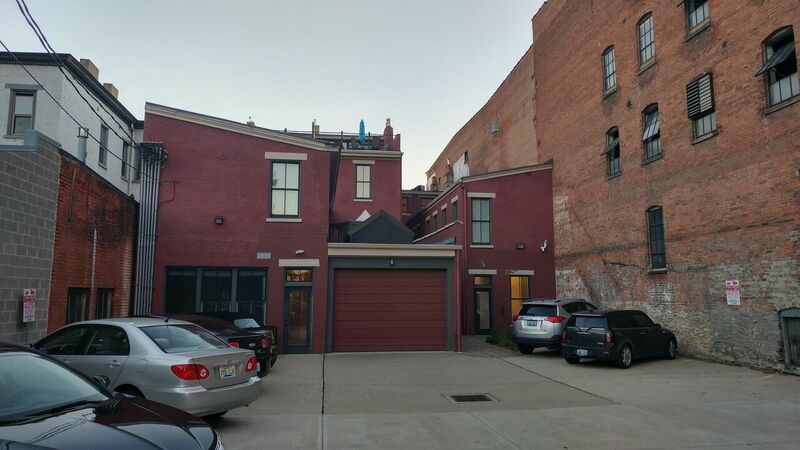 You wouldn't know at first glance that the future economy of Covington and Northern Kentucky is growing within the walls that abut the alley that connects Washington Street to Russell Street. 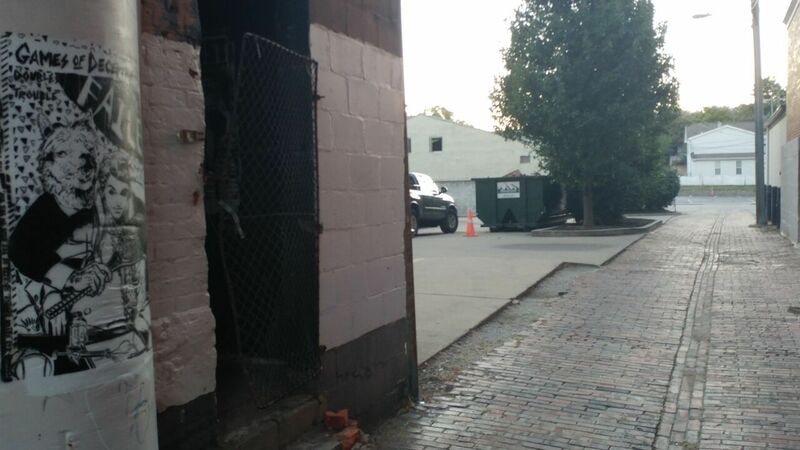 This alley has a unique place in downtown Covington's history and future as it literally connects one of the city's most iconic sites - the Mother of God Church, whose towering steeples have shadowed these bricks for nearly 150 years - and the new start-up scene cultivated by some of the region's brightest mind. And it will soon have a name. On October 6, when a couple hundred people are expected to descend upon for a celebration of entrepreneurship and start-ups, it will be known as Innovation Alley. The name is well-earned. And innovation isn't exactly new to the site. When Mother of God was constructed in 1871, the awe-inspiring Italian Renaissance Revival church serving German Catholics was the tallest building in Kentucky, a claim it held on to until 1910 when the Capitol was built in Frankfort. But that's the Sixth Street side of the alley. 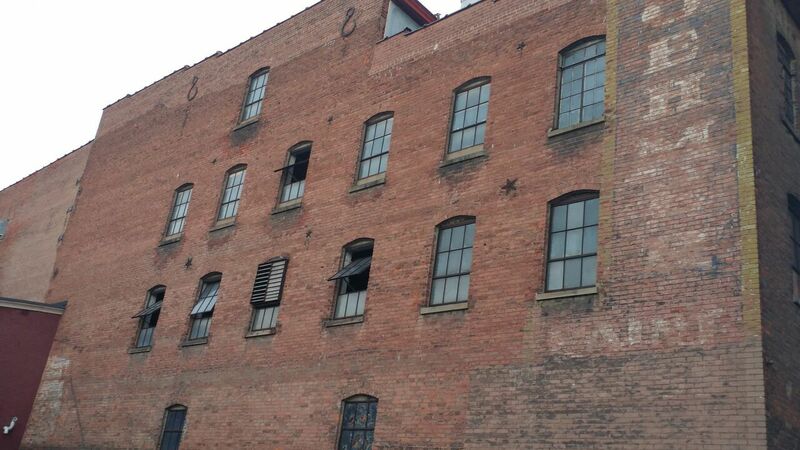 The new story is being woven on the Pike Street side where for decades storefronts and upper floors of the original and once bustling business district lay in various states of varying conditions. Now, a sign stretches from the buildings welcoming visitors to UpTech, the informatics start-up accelerator that just admitted its fifth class of entrepreneurs. Lights were turned on last week at Bad Girl Ventures, the women-centric entrepreneurial hub. At the alley's western end on Russell Street, bioLOGIC grows life sciences companies like Bexion Pharmaceuticals which recently announced that its cancer drug is headed for human trials. "I would argue there are very few other places within a one square block area that has that density of entrepreneurship and start-ups," said Casey Barach, director of the Northern Kentucky office of the Kentucky Innovation Network. His office is a block away on Madison Avenue. Barach spoke to the Covington City Commission last week as it considered an ordinance officially bestowing the name Innovation Alley. "Ultimately it's much more than just renaming an alley," Barach said. "I can envision food truck Fridays where entrepreneurs come and get something to eat and rub shoulders with other entrepreneurs." 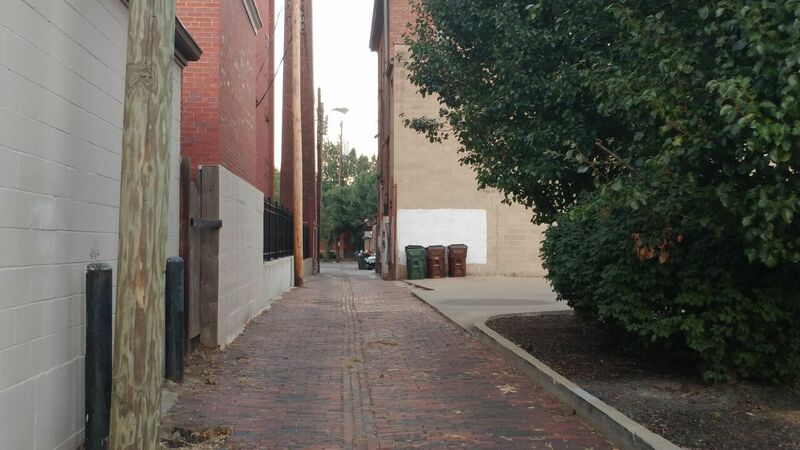 "This is something very exciting for us, not only because we enjoy designing cool public spaces," said Joe Nickol, of MKSK architects, the company that will lead the imagining of what the alley looks like. "If you walk around Covington now, it's no mystery that Northern Kentucky in general and Covington in particular, this is a home of creativity." He noted the volume of people seeking co-working opportunities, applying to the local start-up incubators, and people who seen working each day at Braxton Brewing Company, which thrives in the space underneath MKSK on 7th Street. "Creativity surrounds you when you're here." The effort to brand the alley and re-imagine what it is as a public space is all part of Covington's development, Nickol said. "The next step in Covington's evolution as a regional leader in the innovation economy is to start to develop the public realm and the building environment that supports that and allows these firms to go from small to big and good to great." A future phase in developing the alley as a public space could be ambitious with WiFi, seat walls, landscaping, and gateway signage. UPSTART, the annual entrepreneurial celebration and street party, will take place in the alley on Thursday, October 6, starting at 4:30 p.m, at Innovation Alley - the brick-paved alley between Washington and Pike Streets. Sponsored by the NKY Chamber of Commerce, Tri-ED, Skyward, and the Kentucky Innovation Network at Northern Kentucky, UPSTART will feature live music, beer, and food - as well as opportunities for small business owners, lenders, advisers, and others to network.